Ramblings of a madman…or no? I fell into the idea and thought of Zero point energy (ZPE). I am not sure I completely understand it, but without looking anything up and going off of merely what I intuitively think, taken from some SG-1 ingrained memories. Now, from what I gather, Zero point energy drawls its power from a point within the universe, feeding off of dark matter, ambient energy, or what have you. So with this in mind, I recall an interview tha LMH (Linda Moulton Howe) did with a man by the name of Jerry Wills. 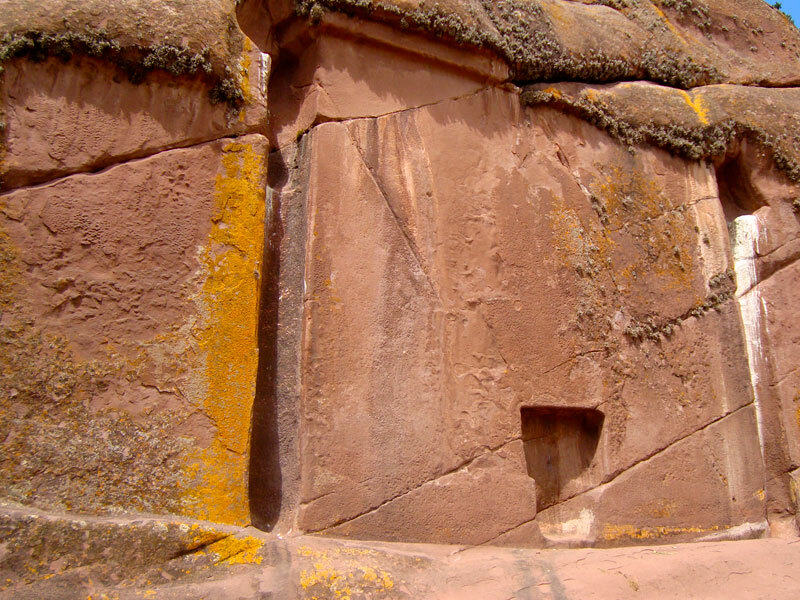 In the interview, JW(John Wills) describes a Stargate in Aramu Muru at Lake Titicaca, Peru with a door looking niche in it that is precisely cut and of very abnormal design. The interview is worth a listen, for sure, but to bring the basic story here it's difficult. Jerry details how he came to know of this portal and how to access it. (in the link I posted from Earthfiles.) He was informed of a smooth part of the stone where his forehead was meant to rest, and after this, he hummed a series of tones that allowed him to pass through the dimensional portal. Once on the other side, Jerry met a humanoid type being that explained to Jerry where he was. The being explained how Jerry had found a kind of "doorway" into the room where the universe as we know it resides, along with many others. I am not sure if I recreate this in my mind or if Jerry detailed it this way. But, the room is filled with floating Orbs one next to another specifically spaced apart and seemingly contained but a force of some sort. As Jerry looked at each he realized they were all Universes of differing kinds, shapes and sizes. The being continues to tell Jerry how he came through the portal they use to examine certain places. And how they have been watching humans for some time, since passage of time is different between the two places, to the point where decades can past in minutes. Jerry is unsettled, but curious enough to ask about the "Universe room" I call it. The being goes on to explain how they actual make a universe, and that humans are very close to doing this with their Large Hadron collider. Now I will link the interview and of course, I am cherry picking certain portions for my theory here, but this is where my idea comes from. If ZPE does in fact require a small portion of a universe to be used to power it, then we would need to make a small universe to do this, as these beings Jerry found have done. Now, much like the idea of using fusion energy, one cannot simply make a single piece of the sun, merely as one cannot make a small piece of a universe. However, size is not what we think, and storing such a universe might depend on the use of gravity as a way to encase the phenomena. But even if we do manage to create a universe, we have to assume that as some point, life will begin as is what a universe does. Then what enlightened being could continue to use a universe as a consumed source of raw material for an energy source if we know life exists within that created universe? It is possible that in early experiments these Beings Jerry spoke to did not realize or even entertain the idea that actual alien life would form, and thus expanded a universe for use only to have it all sucked into a power supply, but long after once life had begun to grow amazingly as it does always. So imagine the horror of finding this and knowing you were the destroyer of entire universes of species, a god. One might then say, "end the program", but with any good ideas that are harmful, there can be a middle ground, a balance if you will. My theory is this. The Beings from this Dimension that Jerry met, one or a group realized that each time they created a universe, it created the universe "WE" as in Humans and all other being here understand as our home universe. Yet each time they leave these clues that could lead us to understanding our true destiny. That we are really just a universe created as a power source, but not in the God controlling the people small scale, but as in the universe is the main goal. Why would they leave such clues one might ask? Well if we did such a thing, we would set safeguards after finding that the time difference was leading to evolutionary advancements far quicker than expected. Therefore, if a universe exhibits massive amounts of life, it is no longer destroyed completely, but used differently (I'll get to that). However, the issue for us would be how to we prove to our "creator god scientists" that our universe has life, when if minutes to them is decades, a few years could be millions or even billions for us. It is like looking for a spark of light on the New moon with the naked eye from earth, it has to be a huge impact. Unless someone leaves a back door open? Like the one Jerry was pointed to? Now my theory does not end there. If these Beings are not destroying Universes anymore, and they keep rooms of them, how do they use them? I feel the clue is given in the Eye of Horus. I have no facts or research for his, its all intuitive really so run with me here. Credit for picture to site below. 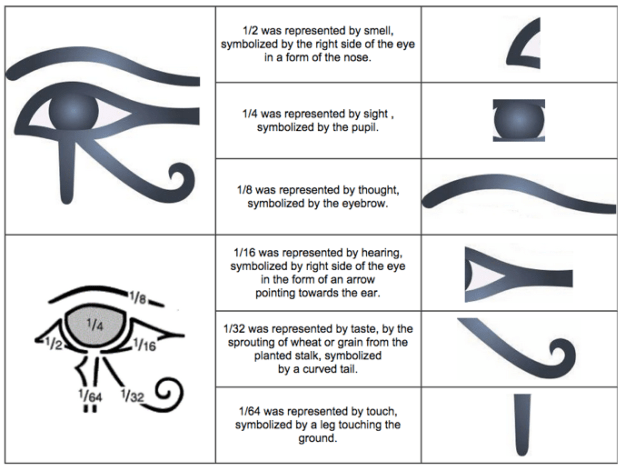 I am stuck in thinking that the 1\16 portion of the Eye of Horus, which is said to be aligned with the ear, is the link. While I have always felt that the universe is expanding at the speed of light, I am plagued by the idea that is not necessarily light, but more defined as frequency. Now to me, when I hear the word frequency, I think sound, not light. So as Hawking points out, expanding at the speed of light if gravity cannot stop the universe it will expand forever. But I say the Beings from the other dimension are using the universes to power their Zero point energy to give them "cells" with unlimited power applications. At first, they would merely collapse the universe in order to fill the "ZPE cell" resulting in the death of us in the reverse of the big bang. Which for us remember, would take millions of years to end because even here it takes a few hours to fully charge a very powerful battery, so being that minutes could be decades, one can infer the relation. Imagine the Beings realization of destroying whole universes of life, thus forcing them to find the true expansion factor of the universes they are creating. It is the bucket theory of fill and drain. If one can create a universe that expands at a constant rate, measureable, then there is a possibility for expansion to be harnessed. This is where I pull the Eye of Horus portion being 1\16, pointing towards the ear, sound, frequency if you will. The universe is expanding at the rate of frequency, and the Being Jerry met have found the way to create a universe that once it reaches a certain size of expansion which could be measured in relation to their passage of time. This would then give them a relative formula for which the universe would be large enough to hold all possible life and energy needed for eons of existence. All the while, that universe is having 1\16 of its growth siphoned off to fill the power requirements needed to endlessly sustain a ZPE cell for a planet or ship. I feel this is why they have a room of Universes that are needed to feed their need, but they do so in such a way that allows a universe to flourish on its own and continues on untouched and mostly unaware of the use. One can imagine a rowing process of this involves people either making regulated universes to rule. And each universe may be exactly like this one, a constant clone of the same process that result is a varied but ultimately similar universe with all the same progressions like a stem from a full grow plant, the fractal ideal…the large picture of the whole is a piece of the smallest portion. A single collision in a Hardon Collider creates a quantum fluctuation that produces a universe that when reaches 13 or so billion years old is ripe to begin the energy harvesting of that universe. Growing at a rate that is removed for use equal to 1\16 of the size of our universe, or .0625, one might say, which keeps the universe from growing too large, but does not destroy it either. As sun can produce a lot of energy, but an expanding universe can create far more potential for a constant stable source, without a constant explosion fueling it. This is my theory about why this type of meeting would happen and be exposed to people in this world, to spark the idea like this. Hmmmm, maybe…or madness? Love and light Faders! FANTASTIC! Thanks for your commentary! Very good reasoning & observations . My new favorite place on planet Earth: Amaru Picchu , Peru ! My 2 ND is now Hawaii! I want 2 go through the doorway / gateway 2 meet our Creators , etc. The time where I am is 10:43 AM EST .